Dream better at the pet-friendly, smoke-free Sleep Inn hotel in Gettysburg, PA near the world-famous Gettysburg National Military Park. Nearby destinations include Eisenhower National Historic Site, Soldiers National Cemetery at Gettysburg, Gettysburg College, Gettysburg Cyclorama and Gettysburg Battlefield. Enjoy amenities like free breakfast, indoor heated pool, free WiFi, fitness center, and complimentary coffee. 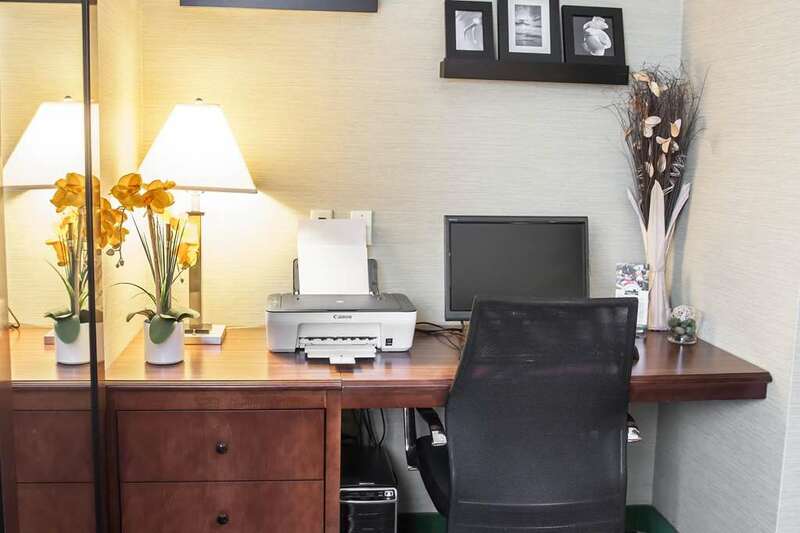 Guest rooms include a refrigerator, microwave, coffee maker, hair dryer, iron and ironing board. Also, earn rewards including free nights and gift cards with our Choice Privileges Rewards program.